Garr Reynolds writes in his Presentation Zen blog: Two Decades of Powerpoint. Is the World a Better Place? He does a good overview of where we have been and where we may be going with the bulletization of our minds that now creates 'slide-u-ments'. Also points to a WSJ article on the event that I had missed.
" ... The Google Analytics user interface has been redesigned to make it easier for people to find and share the data they need to make informed decisions. Data summaries and improved trending analyses complement navigational clarity and intuitive connections among related data. It's easier to click on data points to drill down into the reports for greater detail. In addition to creating an improved user interface, new key features have been added, such as email reports functionality, exporting into PDF, and geo-map drill down to zoom into a certain location. There have been no changes to the amount of data that is tracked by Google Analytics, or to the configuration of your account. This is solely a reporting interface change. Every function currently available in Google Analytics should be available in the new interface. In fact, there will be more features and the new product will be even more powerful, including emailing reports and PDF download ... "
From the Wikinomics blog, which has finally started to gain some steam. Recall I previously mentioned the book Wikinomics, which has quite a few P&G mentions. Lots of good Web 2.0 examples, many of which you probably have already heard about.
" ... The wikified organization is a proposal for the ultimate in 'flattening' of an organization that was pushed, in most business schools, so heavily during the 90's. A wikified approach is a suggestion box, amped up; it is empowerment to do something about 'it' - whatever 'it' is. It is about sharing: power, knowledge, responsibility and wealth. At its heart, it is about communications - wide-open, no-holds-barred, for-all-the-marbles, inclusive communications. The kind of communications that will wake most managers from a restless nights sleep... Wake them, shivering in a cold sweat. Leaving them to wonder - not just about 'the future' in generic terms - but specifically about 'their future'! Waking them and prompting them to ask the questions: 'What about me? What about my organization?' The kind of openness in operational communications than has never been possible in an organization before. This is just the beginning of a wikified approach.... "
Home Depot plans major IT and supply chain improvements. 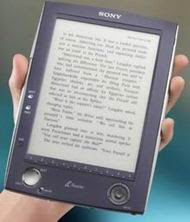 I see that Sony's book reader is now being sold in Border's Book stores. I have been able to test a few kinds of these devices over the years and have been unimpressed. The Sony device costs about $350. Greyscale, no color. Uses an electronic Ink technology developed by E-Ink, which we also tested for signage applications. E-Ink means it requires no power to retain the image. Slim format and fairly bright screen, though still not bright enough to my taste for out of doors. Content availability has always been an issue for these devices. Their Connect Ebooks site contains some 10,000 books which average about half of what they cost in paper versions. Gives access to some very cheap classics in the public domain. You download via a PC. Downloads do not expire, but can only be shared in limited ways. No keyboard or other annotation capability. More technical details and background. 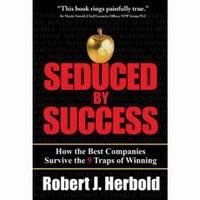 I see that P&G's former CIO, Robert J. Herbold, has a book out : Seduced by Success: How the Best Companies Survive the 9 Traps of Winning. You may also recall that Herbold also was the Chief Operating Officer of Microsoft from 1994 to 2001, during which time he was reputed to be the highest salaried employee there. Have not read it. The book is being excerpted in CIO Insight. " ... he explores the pitfalls of corporate success: sticking with out-of-date business models and stale branding, allowing products to become outdated, and the triple threat of lethargy, timidity and confusion. In the following excerpt, Herbold discusses what he says is a common reason CIOs lose their jobs: organizational bloat and lack of accountability ... "
In Forbes, an article Outsmarting Smart Shoppers, analyzes a Knowledge@Wharton article: "Purchasing, Pricing and Quick Response in the Presence of Strategic Consumers", by Wharton Prof Gérard P. Cachon.
" ... there are the strategic consumers, who are willing to buy full price sometimes, but at other times they will wait for a bargain. According to new Wharton research, it's these customers that retailers need to focus on in order to reap the full benefits of lean retail inventory management and variable pricing ... The research shows that when strategic consumers are factored into a theoretical model, lean inventory--or so-called "quick response"--systems are, on average, 67% more profitable. "Although it is well established in the literature that quick response provides value by allowing better matching of supply with demand, it provides more value, often substantially more value, by allowing a retailer to control the negative consequences of strategic behavior. Furthermore, this latter benefit can be substantial ... ". Detailed abstract and full technical paper here.